Easy Online Ordering. Create Your Bamboo Art! Six years ago, we were one of just two companies in the world offering the bamboo photo mounts. There are a few competing products out there now, but ours remains unique! Unique To Bumblejax: Hand Sanded/Stained, Float Effect. We continue to go the extra mile. 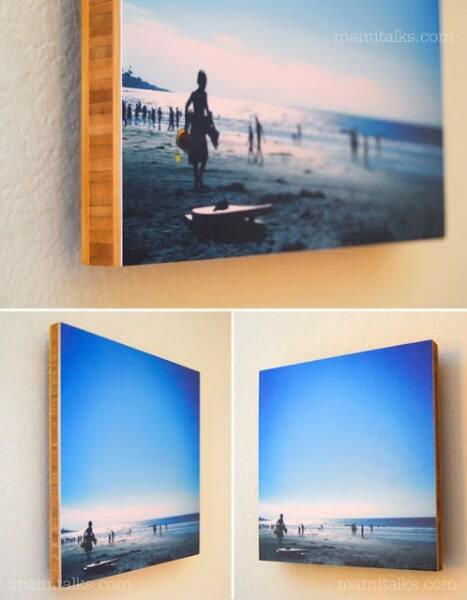 You won't find bamboo photo mounts hand sanded and stained anywhere else. You also won't find that modern floating look. Unique To Bumblejax: Any Custom Size. Have a panoramic photo? Perhaps a custom crop with a unique dimension? We can do it. We are now offering the bamboo product in any custom size down to the 1/4" up to 40x30". Only at Bumblejax. 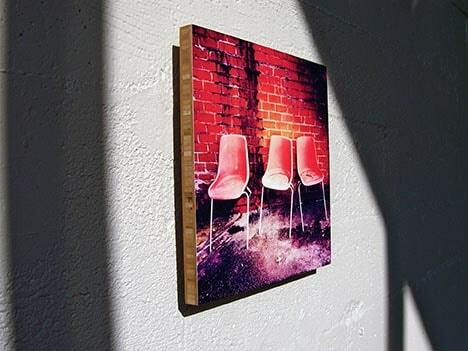 We don't print directly to the bamboo which diminishes photo clarity and color gamut. 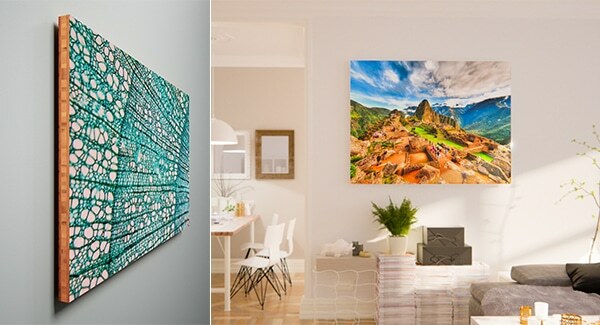 We print to high grade photo paper and then mount the photo to the bamboo for a beautiful, gallery quality presentation. Bamboo is fast growing and one of the most sustainable wood products around. It's also incredibly durable and 4x more dimensionally stable than oak. 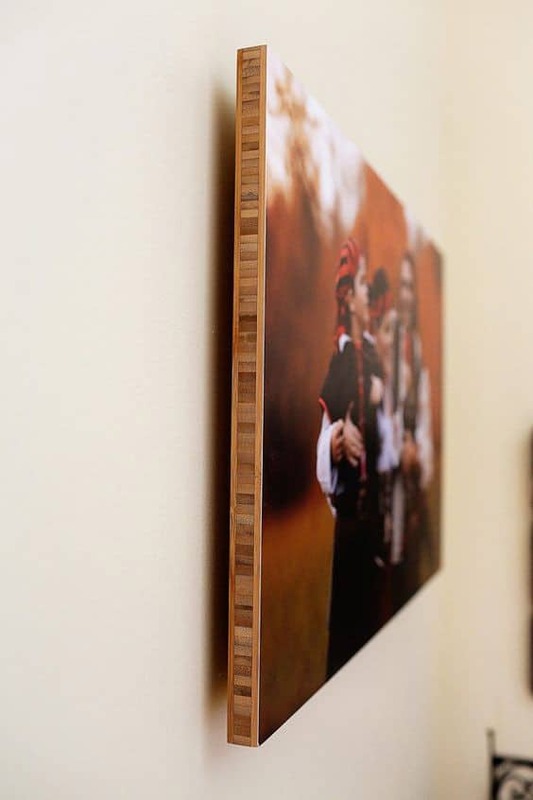 Every bamboo photo mount is 100% handcrafted at our shop in Seattle. Stop by and say hi if you're local! Appearance: softer, more matte finish. Sizes: any custom size between 7" and 40". Hanging: Wire. We can do any custom size down to the quarter inch with a max dimension of 40" and a minimum dimension of 7". The table below shows the sizes we stock in the bamboo and those are a bit cheaper per square inch and get out a couple days faster. However, we can do any size in the bamboo down to the 1/4" up to 40x30" and you can order online here.